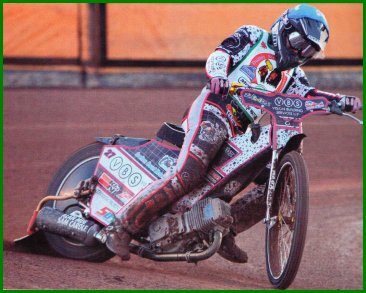 Ben started his speedway career after a friend took him to his local track Redcar and let him have a practice. He was still at school and working part time. He was hooked, before long he had bought a bike and was getting rides in the Northern Junior League at South Tees Motorsport park, Redcar. He loved it and then got involved in the Midland Development League. 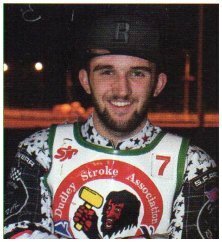 Buxton's manager Jason Pipe was a big help putting Ben into the Peterborough Thundercats MDL side and naming him number 8 for Buxton. Things changed when Ben Morley spotted him riding in the Julie Lewis Memorial meeting and recommended him to the Kent management. He became a Kent asset. After a season of travel from his Stockton on Tees home it became to much, the 8.30pm curfew didn't help either with family having to take days off to get him there. So he joined the Heathens for 2016, initially at reserve, he was very impressive moving into team proper after his first four matches. Ben had a couple of nasty crashes which meant a loss of confidence later in the season. One particular match at Mildenhall Ben damaged his elbow and battled though the meeting though obviously in pain. Strangely his best two scores of nine from five rides were both against Buxton.